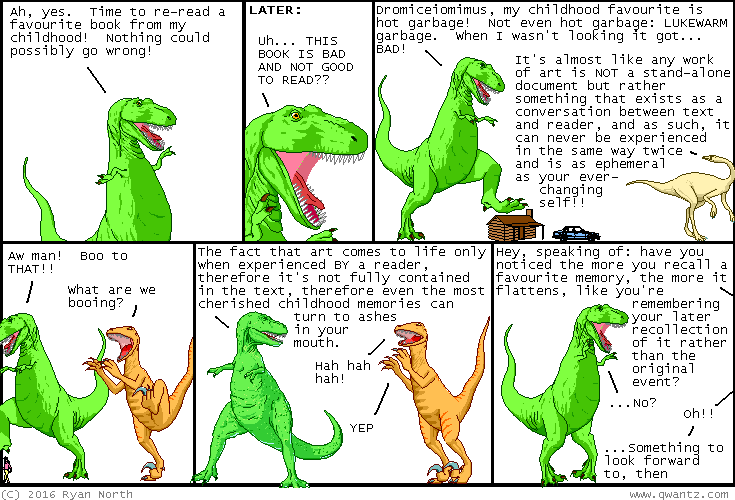 Dinosaur Comics - April 8th, 2016 - awesome fun times! April 8th, 2016: Don't worry though, The Monster At The End of This Book is STILL AMAZING and holds up perfectly! So just like that book and you'll be fine forever.